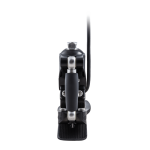 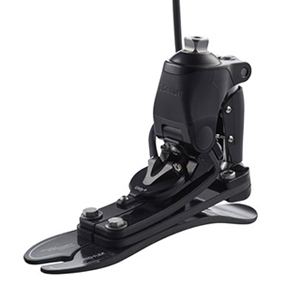 Pro-Flex LP offers a high degree of ankle motion and a significant improvement on conventional low profile carbon fiber feet. 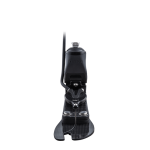 It also incorporates a full-effective toe length and new ‘reverse tapered’ technology, allowing for greater dorsi-flexion. 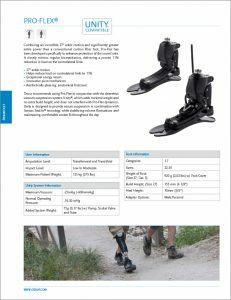 Less load and more dynamics mean that amputees with a longer limb can enjoy greater comfort for a wide range of activities. 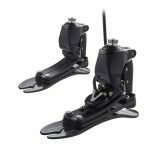 The well-designed and lightweight anatomical foot cover features a steady-grip sole for barefoot stability on wet or slick surfaces and a sandal-clamping toe for a range of footwear including flip-flops. 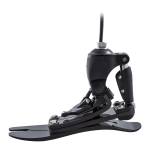 Microprocessor-controlled (MPC) feet systems provide a potential benefit over other prosthetic feet in their enhanced ability to react to varying environmental situations by providing different mechanical properties or alignments to improve the user’s balance and mobility.